Oh, the summer months in Gurgaon! We all know how the scorching sun and the sweltering heat gets to the best of us. The only respite is frequenting the malls and restaurants but sometimes you desperately need a change of scenario. After all, who likes to dress and sit in a formal setting every time they go out? While the kids sure need to go out and have some fun, so do the adults! So here’s what we say. Ditch the mall for a while because believe it or not, Gurgaon does have to offer so much more than that. Did you know that you can put your fun hat on and just let yourself loose in the crazy fun that the various water parks in the city guarantee you? Well, we think it’s time that you started having more fun and spending a gala get together jumping from one ride to another and gushing down various exciting slides. 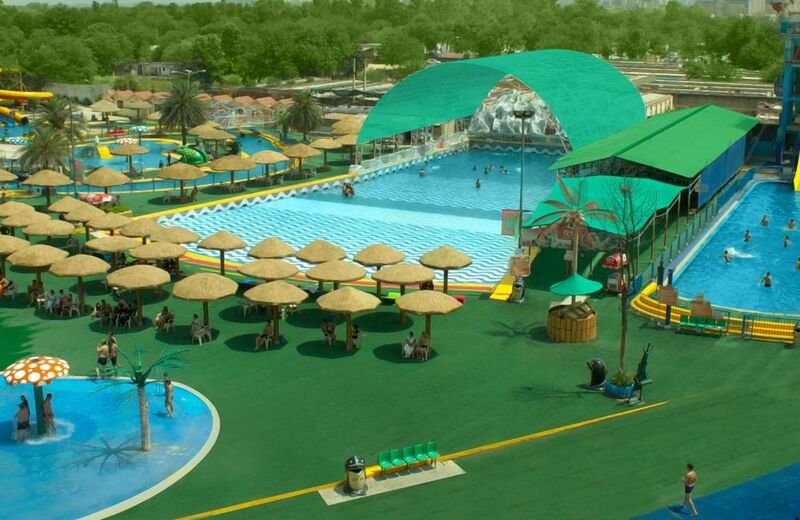 Here’s a list of the best water parks in Gurgaon that you can go to. Believe it or not, AppuGhar (Delhi) was India’s first amusement park. It opened in 1984, just after the Asian Games that were held in 1982. It was named after ‘Appu’, the popular elephant who was the mascot for the games. AppuGhar opened in Gurgaon in 2014 and has been a crowd favorite since then. It has, in fact, undergone a swanky revamp and has renamed itself as ‘Oysters Beach Water Park’ with a cool, beachy vibe to it. Some of the best rides at AppuGhar is the Skyfall, which is a whopping 92-feet water slide with a crazy steep fall; this ride is officially the tallest one in India. No matter how brave you are, this one is sure to make your heart skip a beat! The Rapid Racer is an ‘old but gold’ ride where you lay face first on one of those mats and then say a silent prayer before you take that swishing ride down. The Aqua Loop, though not for the claustrophobics is sure to give you a happy buzz as you make your way through this loopy tunnel. Oh, and guess what!? This place actually has a cool spa facility where the grownups can rejuvenate and soothe themselves after the thrilling (and tiring) day. And if that’s not enough, it also has a bar, which opens after 5, where you can sip on a relaxing drink after all the hullaballoo is done. Ticket Price: INR 1200 for general tickets, INR 600 for senior citizens and INR 800 for children below 4ft. 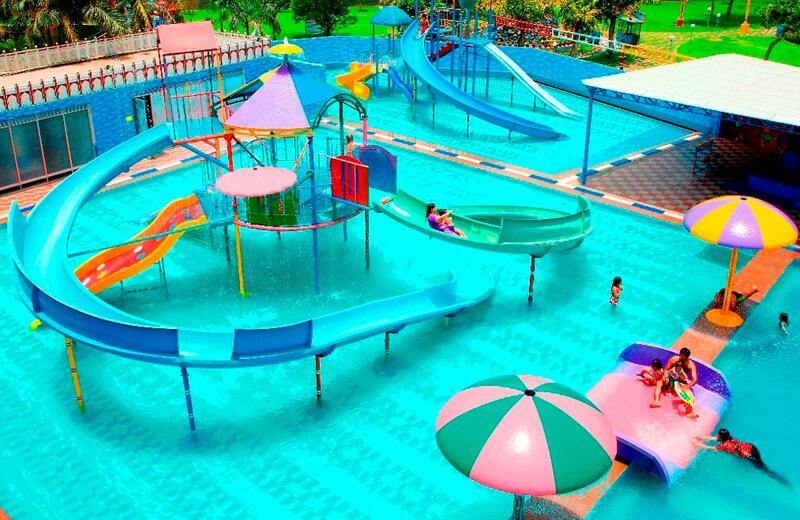 This is another water park in NCR that is among the oldest in the region and consequently well-known by all its residents. 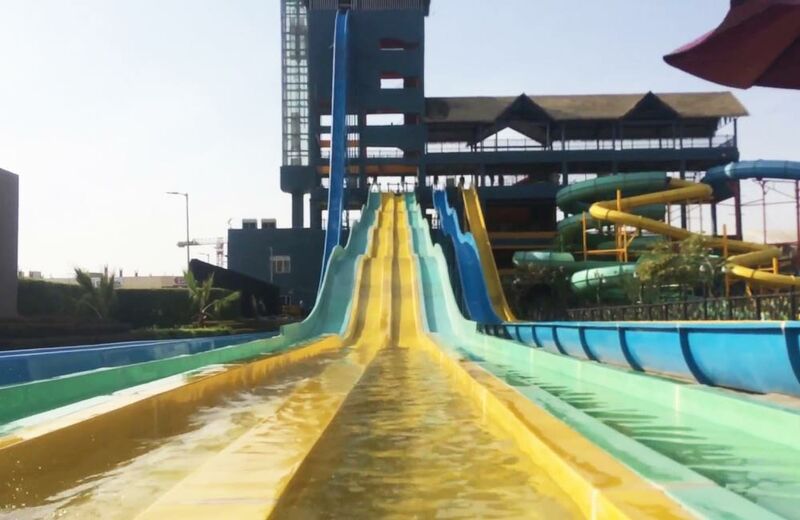 There are 22 slides to choose from at the Fun N Food Village, unless you just want to laze around in its massive Lazy River which is 800 feet long (complemented by a refreshment counter, of course)! What’s more? Its wave pool is actually the largest that there is in Delhi-Gurgaon. If you want to enjoy a ride along with your friends/family members, you can go for the Family Slide that can accommodate four individuals at once as they splash their way into a Jacuzzi, or choose the bolder Tornado ride that’s going to lead you through a tunnel to a bowl where you go in a tornado-like circle before finally dropping into the pool below. And all you brave hearts that are willing to take a sheer (but slippery) drop into a pool below, try the Aqua Shute. To be fair, AapnaGhar is so much more than just a water park. The number of things that AapnoGhar offers no matter what your age or interest might be is mind baffling. You could actually have a quick little getaway while planning your visit here. Nestled on the Delhi-Jaipur Expressway, this is an ideal place to spend a great day with your loved ones. Not only is it super fun, but is also a beautiful place with accommodation facilities. The best thing about this water park is that it has ample non-threatening and fun rides for little kids. Take the water mushrooms, for example, which are basically some giant mushrooms spraying down water, but something that the kids love! Similarly, the rain shower pillar, the water curtain, and the giant tipping bucket are all great for small children. The Aqua Tube or the Turbo Twister should be fun for teenagers and adults! Entry tickets are priced to include not only the fee of the water and amusement parks but also a sumptuous spread of snacks such as Aloo Tikki, Gol Gappe, Kadhi Pakoda, and Jalebi or a breakfast/lunch spread with options such as Paneer Butter Masala and Rajma Chawal (depending on the package you choose). This can be termed as a water resort rather than just a water park and is a first of its kind in India. The ideal place to head to with a huge group, you can enjoy a vast option of rides and gorge on some amazing food at the restaurants and fast food joints, and reenergize for the rest of the day. 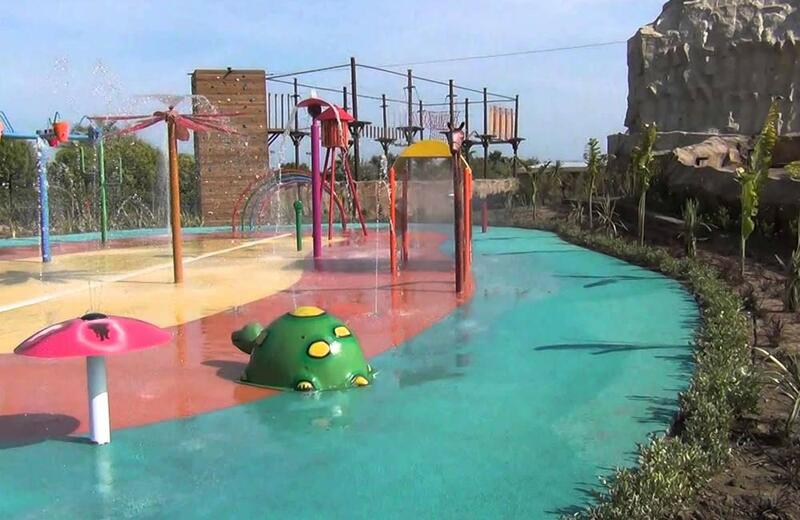 Conveniently situated only about 1 km from the National Highway 8, this water park is set amid lush green surroundings. A very big brownie point for having maintained it so well! There are eight pools, a separate child-friendly area, a poolside café as well as a disco in the premises. When it comes to the rides, they are really attractive and inviting. All the rides look spanking new and are a fun, bright, colorful affair! The Tornado is one of the most popular rides and guarantees a lot of laughter and shrieks of joy and excitement. You can also try the Pendulum if you fancy going back and forth like the name obviously suggests! Well, now that you have a ready list to refer to, we really do hope that you will be packing in your swimsuits the next time that you go out. And if you are traveling to the city for a business trip, and have a day at leisure, we recommend you to step out of your hotel in Gurgaon and get ready to get wet and at these amazing water parks!